Watching the sunset is a sublime and magical experience, but it doesn’t last long and reminds you of the passage of time. 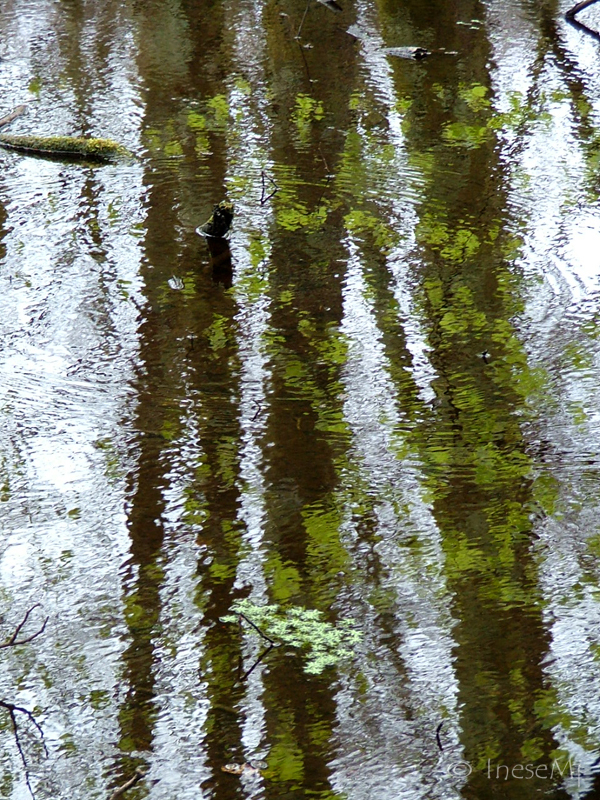 There is another sight, equally mesmerizing, and limited only by your imagination: surface of water and reflections. 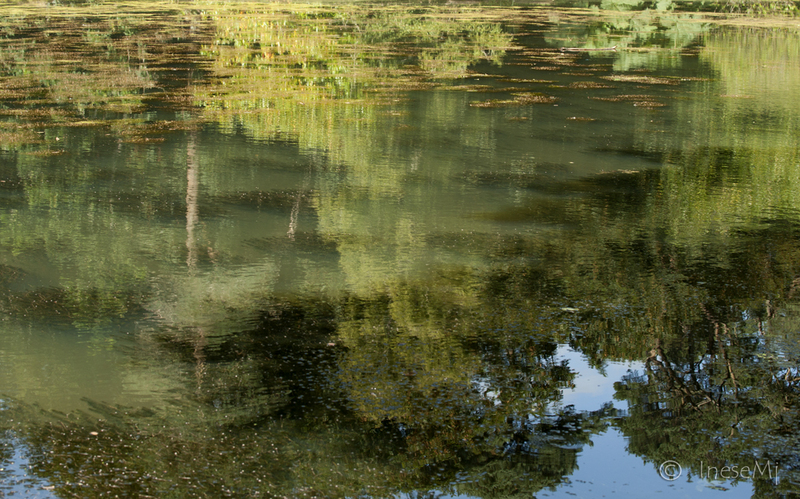 Water reflects everything and distorts everything. It blurs the boundaries between the real and surreal. Water is an enigma. I want to share a video, a beautiful interpretation of Claude Debussy – Reflets dans l’eau – Reflections in the Water by an Italian pianist Arturo Benedetti Michelangeli, one of the most enigmatic performers of the twentieth century. 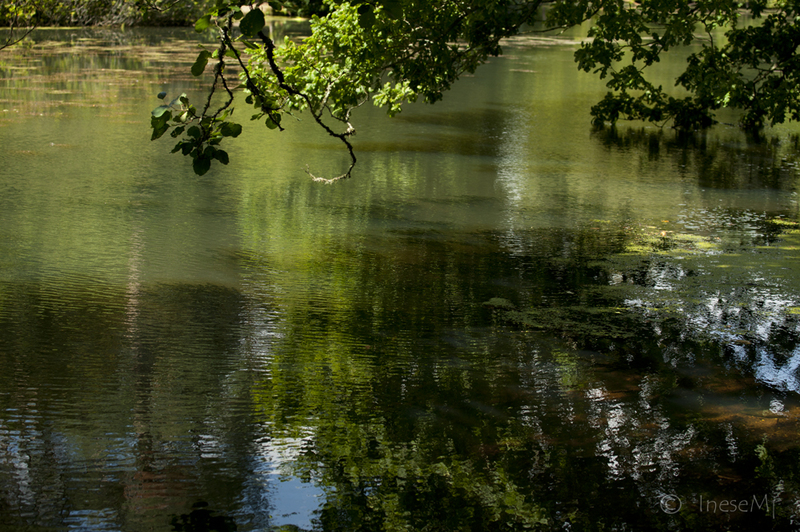 There are a few images from a man-made lake in the Johnstown Castle grounds. 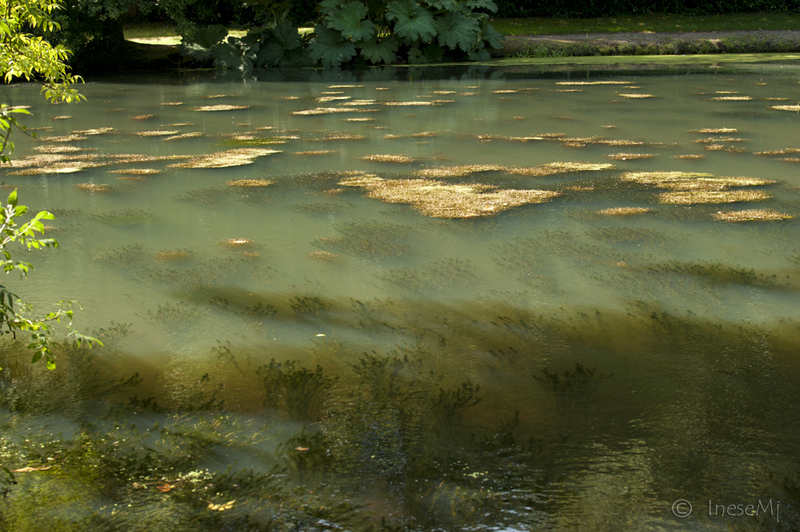 All the images are created by light and shadows, weeds, reflections and ripples. Please click to enlarge them to appreciate the beauty of the Nature’s paintings. Have you ever heard about Memory of water? A study supporting this controversial theory was published in 1988; it is when I first learned about it. I find this theory quite fascinating and hope that there is something beyond the simple chemical H2O. 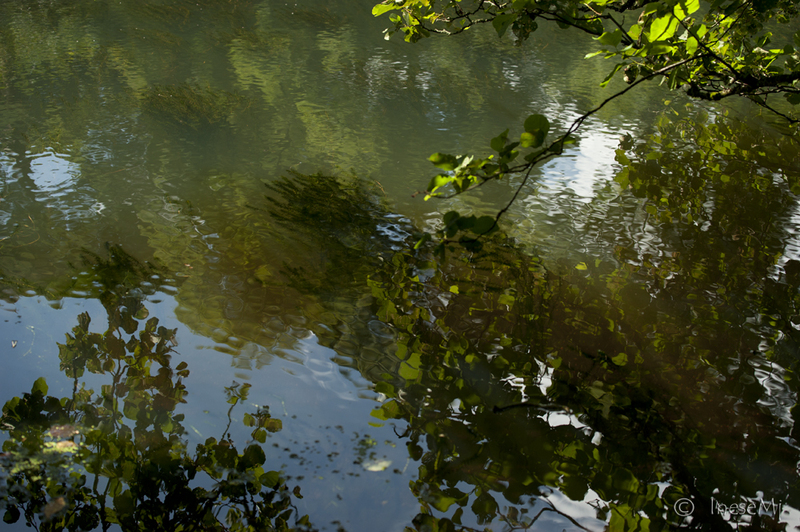 I have many more images of reflections and hope to share them in the future. 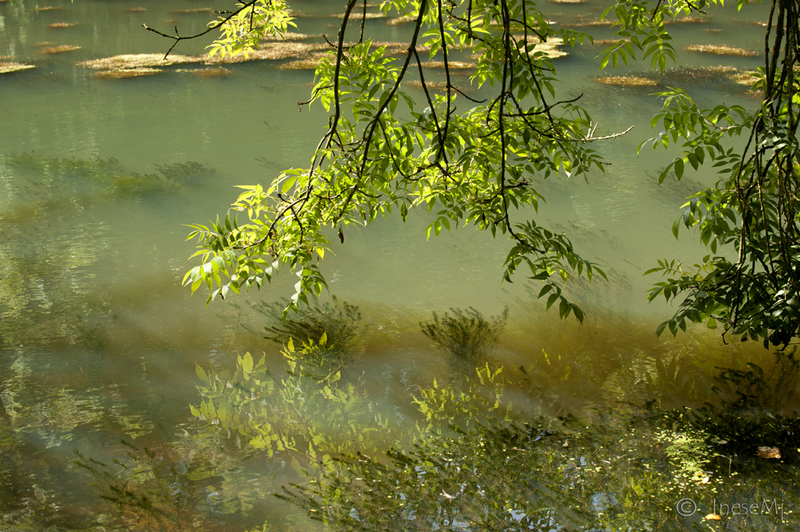 Photography tip of the day: to reduce glare and unwanted reflections, use a polarising filter. The size you want is the diameter of your lens. Have a good, productive week! 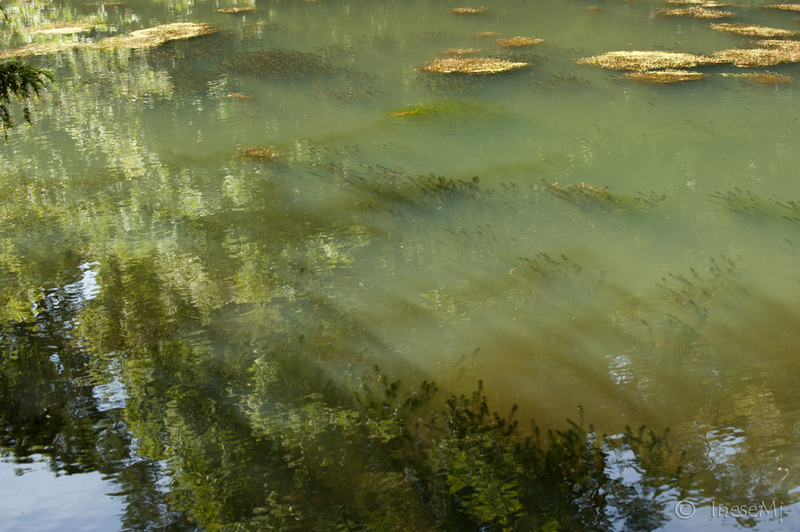 I love the sunlight’s effect on the sediment in the water. It’s too easy to write about clear water, or seeing oneself in the water. Sometimes we don’t see anything, which I think is far more mysterious. Oh I agree with you! The sun rays are struggling to get through. They are bending which creates this milky-green effect. 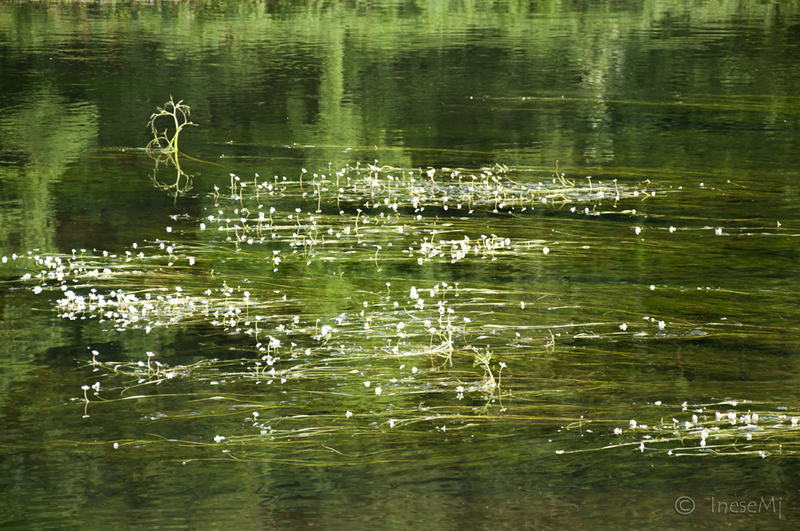 I would want to know what the air and the sun look like for the tiny critters in this green water :). Hmmm, yes, I wonder that as well–and perhaps what other creatures use the milky haze to hide from our eyes. Sprites, I think. Your photographs are as beautiful as the paintings of the Impressionistic painters! Wouldn´t it be nice to have a picnic there and then a swim, and by the way I think I saw your reflection! My reflection? It would be fun, I will check out. I love Claude Debussy. Beautiful post. Thank you Maria! I love him too. And this interpretation is outstanding. 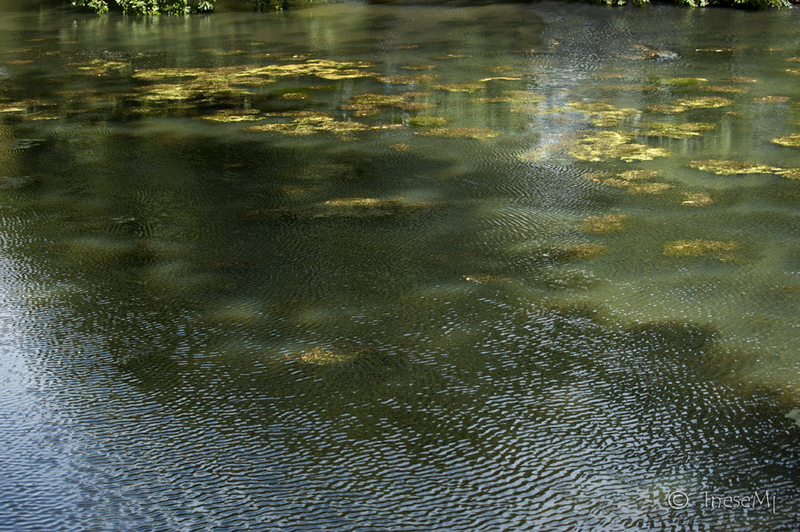 Light like water ripples. Thank you Robyn! I spent most of my time watching water – so beautiful it was! I also took some other photographs in the castle grounds, and will post them Friday. Really enjoy your blogs! Love this one on cats – glad I found your site! Thank you so much for your so kind comment! Hope you find your own good memories reading my blog. Stunning! I love the shimmering effect of the water! Beautiful Inese, some of these look like abstract paintings. These are lovely! 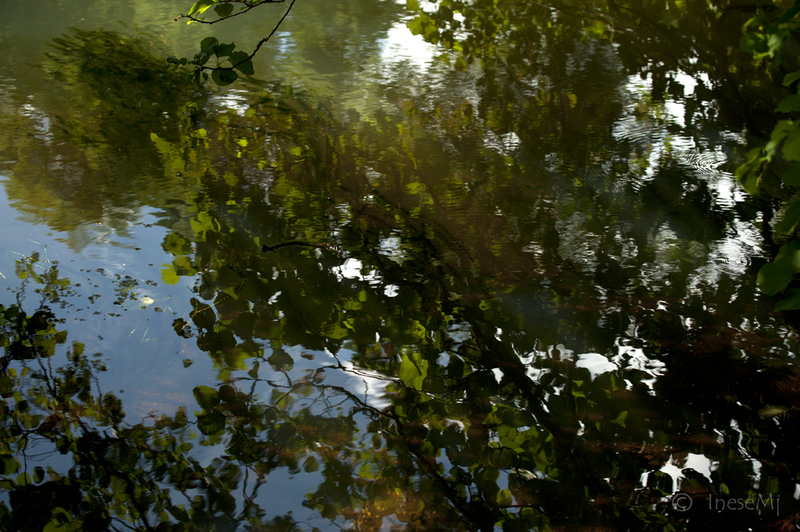 They’ve got me wondering if watching reflections on water inspired the early impressionists. I think so 🙂 The techniques some of them use are the replicas of reflections in the water. Beautiful pictures of water, water surface. I think it has memory effects of calm and peaceful here. Thank you for reading! I too believe that water is more complex than it seems, and it does have a calming effect. Thank you for sharing this! So beautiful! They are exquisite. Your posts are so inspiring, Inese! Thank you so much, Kate. You too kind! Beautiful lily pools captured. It took me a long time and a lot of frustration before I found my polarized filter. The tip is great for anyone who doesn’t know how much it helps for sure! It does. Takes some time to get used to it, especially in low light. wow – I like any reflections in the water – just brilliant! Beautiful images. 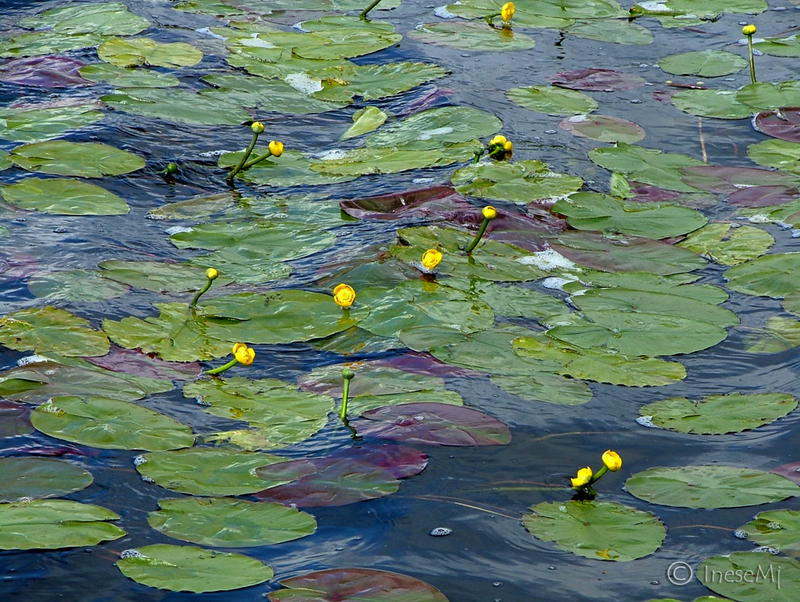 They remind me so much of the artist Monet. Thank you ! 🙂 The water did look like an impressionist painting! “And the spirit of God moved upon the face of the waters” (Genesis). The incredible thing about water is though cleansed and transformed so many times it’s the very same water that flowed from the dawn of the earth. Beautiful pictures each a work of art. I can imagine them on 6ft. canvas’s mounted on white walls, they would be incredible! I too love this verse. You can check out the link, Water memory. Some people think that water holds the memory of creation. Beautiful photos and perfectly blend in to the accompanying music…they are soo relaxing 🙂 Have a great week to you too! I particularly like your first image…. Thank you! 🙂 It was taken some 5 years ago. I was walking in the park and there were ditches full of water all around ( after the heavy rains). Early April, young leaves look like the strokes of painting brush. Thank you so much for your comment. You are so right about music, it truly is another language. Very nice article and pictures, as usual! I always enjoy your thoughts on photography, and life in general. Thank you so much for reading, Julie! Have a wonderful week!